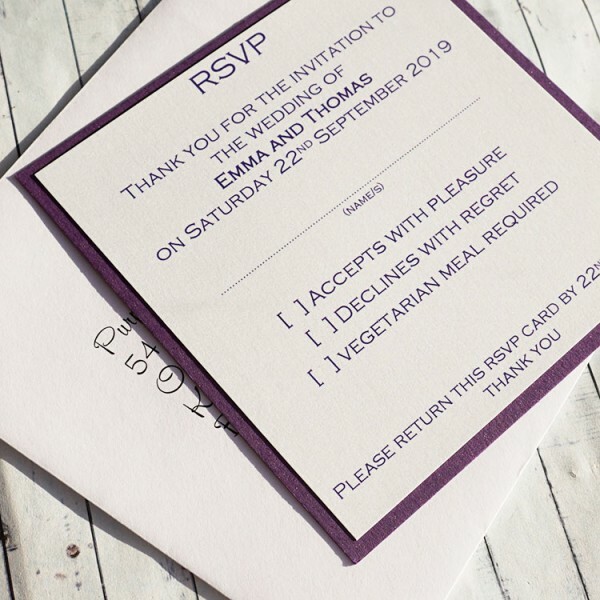 Designed to match the size, colour and font style of your wedding invitations, encourage a swift reply from your guests with a matching LEVEN REPLY CARD. 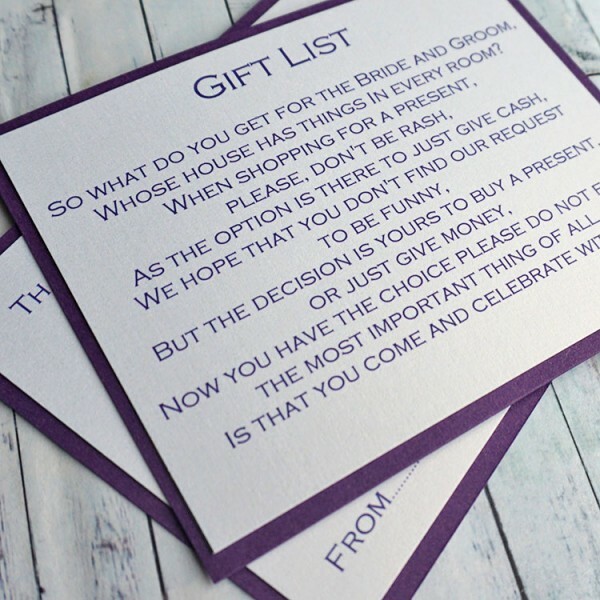 Sometimes the only information required from the guests is a simple yes or no as to whether they will be able to attend your big day. 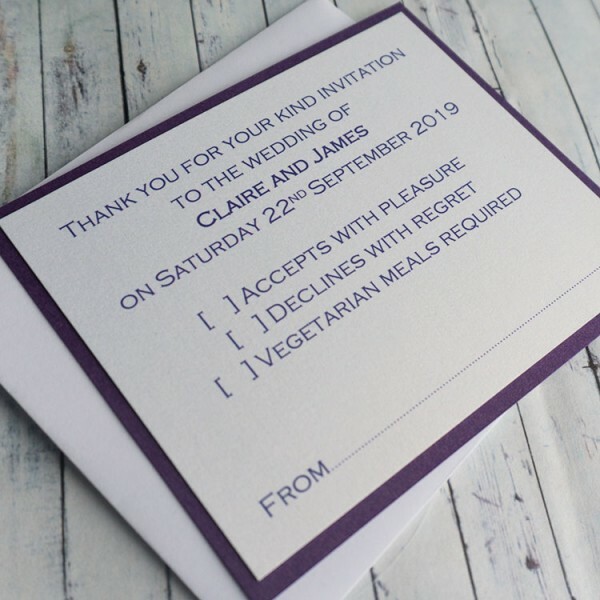 However, more often brides ask their guests for information on dietary requirements, vegetarian options and even travel arrangements. 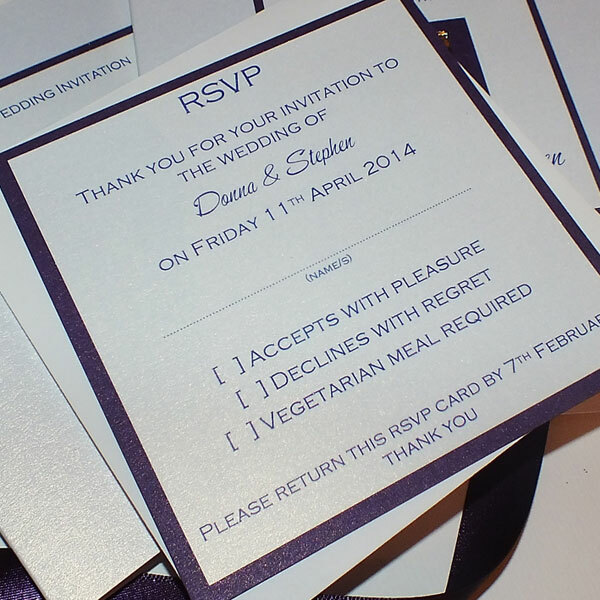 All of our reply cards are printed onto luxurious pearlescent card and are fully personalised with your own choice of wording and fonts. They are mounted on cards to match the colour scheme of your wedding invitations and come with a pre-printed white envelope with your own address on, making it simple for your wedding guests to reply.